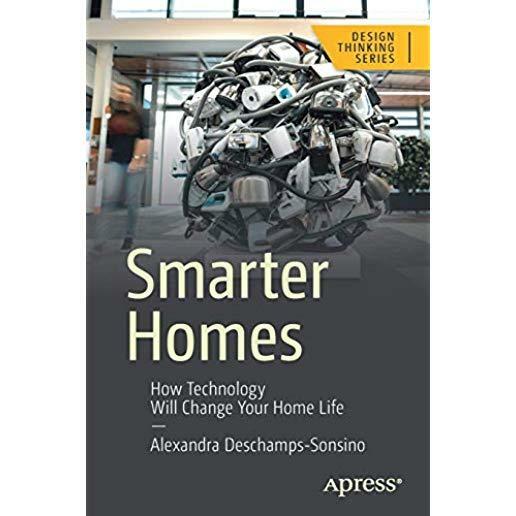 8Examine the history of smart homes, how technology shapes our lives, and ways you can think about the home when developing new products. This book presents the opportunities in the homespace that will come from understanding the history and multiple players that have contributed to the development of the home in general. You'll start by breaking down the historical, societal and political context for the changes in focus of that 'smartness' from affordability, efficiency, convenience to recently experimentation. The second half of the book then reviews what current developments tell us about what our homes will look like in the next 10 years through the lens of spaces, services, appliances and behaviours in our homes. Over the past 100 years, the home has been a battleground for ideas of future living. Fueled by the electrification of cities, the move from the country to cities, post-war recovery and the development of the internet, the way we live at home (alone or with others) has changed beyond recognition. Science fiction writing, the entertainment industry, art, and modern interior design and architecture movements have also contributed to defining our aspirations around a future and now more present and possible 'smart' home. Smarter Homes looks at the many new and innovative products that are being developed in the consumer and industrial spaces with a copy-paste mindset based on following larger businesses, such as Amazon, Google and Apple. Everyone working in product design and development, in R&D or in trends research, as well as those interested in the IoT for the home. This book will also give product business owners ideas about what has been done before and and avenues for future development.